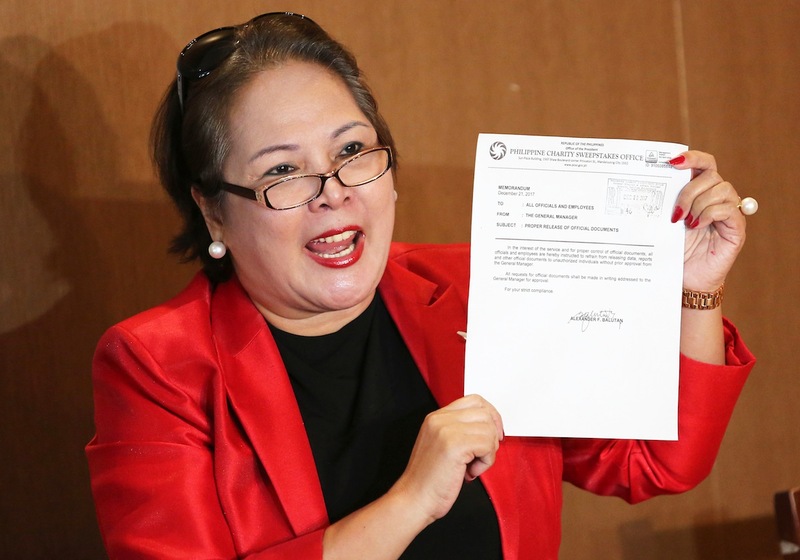 MANILA – Forty-eight members of the House of Representatives have signed a resolution seeking the resignation of Sandra Cam as board member of the Philippine Charity Sweepstakes Office. House Resolution 1711 was filed by Negros Oriental Rep. Arnie Teves, House Minority Leader Danilo Suarez and the chairman of the House Dangerous Drugs committee, Ace Barbers. Besides Cam’s resignation, the signatories to the resolution want the House to cite her in contempt for making an accusation, without showing proof, that Teves is an operator of small town lottery (STL) in his home province of Negros Oriental, something the congressman strongly denied. Cam hurled the accusation at Teves during a House inquiry on recent irregularities in STL. The resolution said Cam disrespected both Teves and the House when she raised her voice repeatedly at the hearing.